I figure its about time i started my own thread. It's 2019, and coming up on six years since i got my first Jeep and descended into this madness. Now i've got three Jeeps in the driveway. And soon one of them will disappear from sight for a while into an actual garage, something i didnt have before! Im moving on up from shade-tree-gravel-driveway to four-walls-and-a-roof. Well, almost time. garage is full of crap one side cause the roof still leaks on the other. help me organize, document, reflect, and realize my projects. Might be about building my shop. might be about working on the house. Might be about working on a Jeep. Whatever it is i'm psyched to be at a point where i can tackle these life projects and improve my surroundings, my skills, and my well being, and have this be a part of it. Hope i can keep it going. So i just finished a quick and efficient renovation of my powder room because i had a deadline. Wife said "I want to have all my family over on this date (10 adults and a whole mess of kids) and i want to do the powder room before then." Got it all buttoned up the night before the party. So now we have a new deadline of June 25. That's the day my wife turns in her Toyota Camry lease and joins the dark side. We've got a shameful amount of debt, and we came to an agreement to forego a leased vehicle for two years so that we can pay down this burden. We have a plan, and we're committed. That means i've got my work cut out for me. by June 25 i need to have two jeeps in solid daily driver condition. So i need to have a plan, put it into action, and stick to it. So let's backtrack a minute - the whole reason i got the WJ is because the XJ was starting to need a lot of work. Ive beat on it for 5 years and it needs an overhaul. 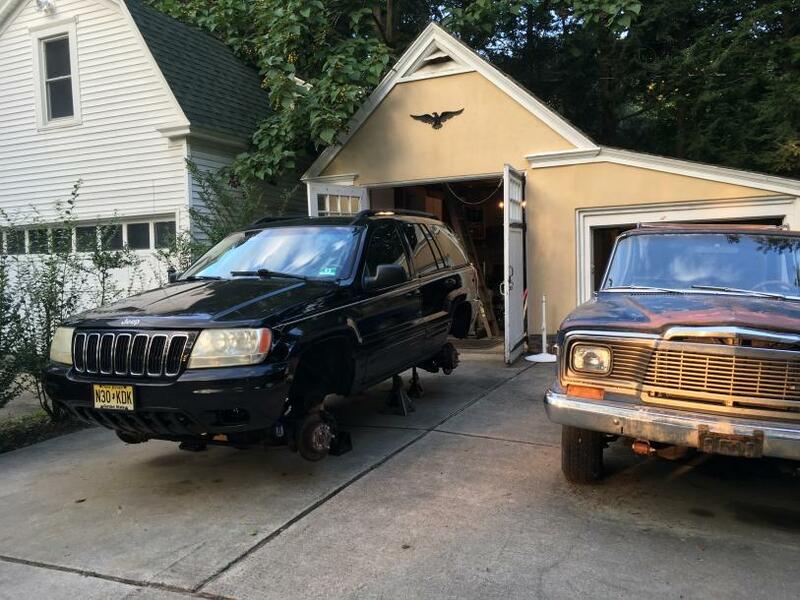 So i got Toothless to be my DD so i could rehab the XJ at my leisure, in my garage, over time. but now, i just have to get it back on the road. the Bad news is i might not be able to build Jack the way i had been planning because i need to focus on getting him back to driver status asap. Also, the to do list for that is a lot longer. But a deadline is a good motivator. The plans are being drawn. I have to be realistic about what has to get done vs what i want to get done, vs what is practical to do all at once. So i might need so me help making the right decisions. that's where y'all come in. Congrats, on the New Garage!! It's a Win Win!! Congrats. I started okut years ago with a shade tree and an awning I built to the side of the house. Now I have a 40X24' shop and it is not big enough. That is a disease in itself. Been making transition from winter house work to spring garage work. Did a lot of work in the basement over the winter - had french drain and sumps installed and some nasty old plumbing fixed. After cleaning up all the mess now i can actually use the basement, one step closer to order. So i took all the rakes and shovels and garden tools out of the garage and brought them to a closet in the basement right near the bilco doors. Now i have "garden shed" so i dont have to have garden tools cluttering up my shop. .Awesome. 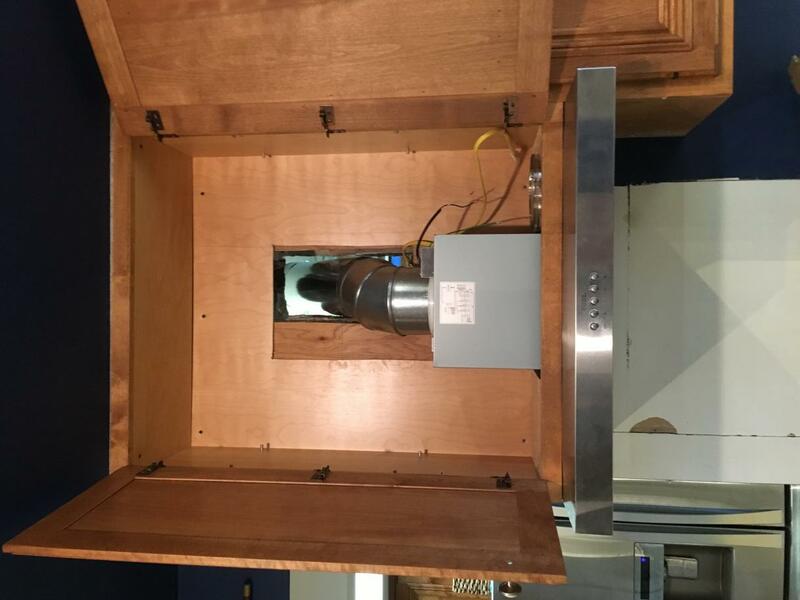 Powder room was done, next was project Range Hood. Not a big deal in most houses but my house is a hundred years old built of terra cotta cinder block, stucco and plaster. The stove is against one of these walls thats an interior wall. so to get duct outside from the stove i had to go through TWO wall made of this terra cotta block and stucco, 14" thick. This craigslist air compressor and chisel is the best thing i ever bought, i swear. what a pain in the *** to get through these walls. Dust everywhere. i sealed off the area with plastic sheeting but still the dust traveled all through the house. But its done and working. Now the bedroom wont smell like dinner anymore, hooray. Last edited by 1_2_XjU; 04-11-2019 at 09:09 PM. 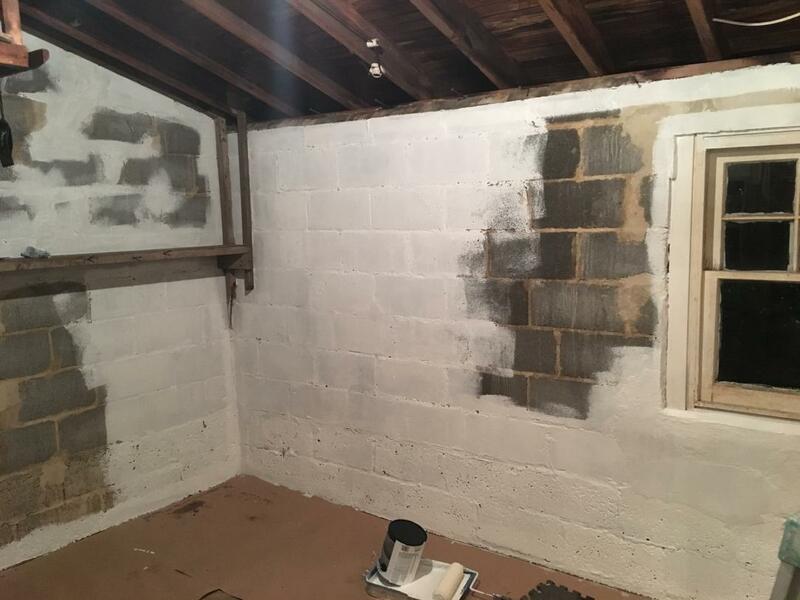 Meanwhile, been priming the unfinished block addition part of the garage. At some point (still pre-war) they built a one-car garage off the side of the one car garage. Early cinder block and never painted. I want to paint it so this side of the space is less nasty to be in. Since they had built this half as an addition to the original, there was a window between the two sides but no door. Last fall i took out the window and cut out the knee wall that separated the two sides so now there's a doorway between them. you can see on the left in the first pic. much better. Last edited by 1_2_XjU; 04-11-2019 at 09:22 PM. 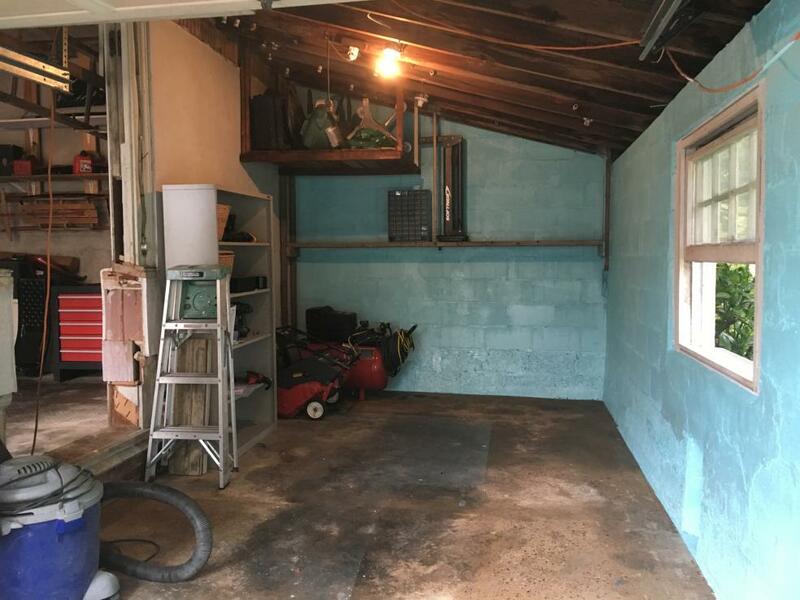 I love a garage thread. So much so that I scan Garage Journal Forum every day. Lots of ideas and advice, just like here, but for garages. 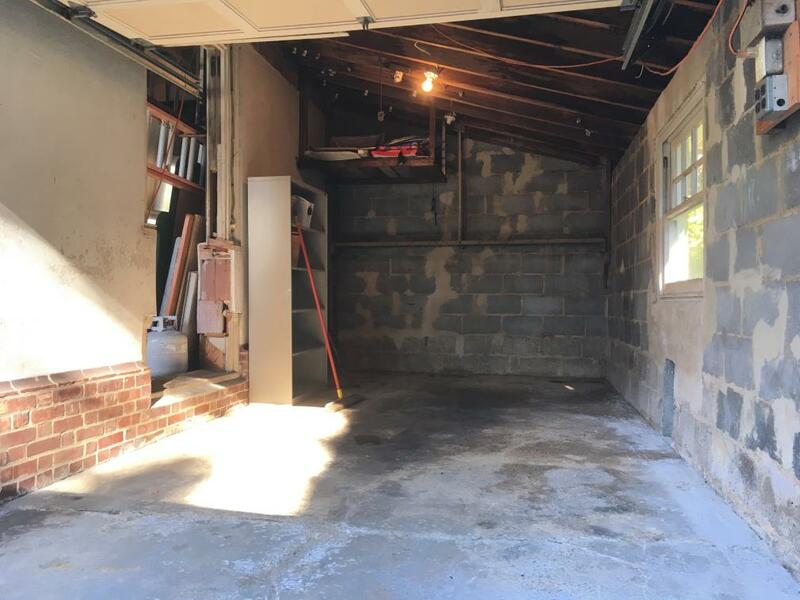 Good luck on the garage renovation, but I really want to congratulate you on forming a plan and making a real effort to stick to when it comes to the debt. Thats the hard part. Garage Journal - great, just what I need, another forum to spend time on . I’m really looking forward to making this my space though. I’m mostly impressed that she agreed to take on Toothless as her car for a couple years in the service of wrestling this debt. Garage journal. Yeah I'm on there too. &#x1f604;. But I did it mostly for tools. Then i was able to start cleaning up and getting rid of some of the other crap left in there, including two giant square restaurant table tops left by the PO that i had to take the circular saw to. Previous home owners were purveyors of a local seafood restaurant called Barnacle Ben's. 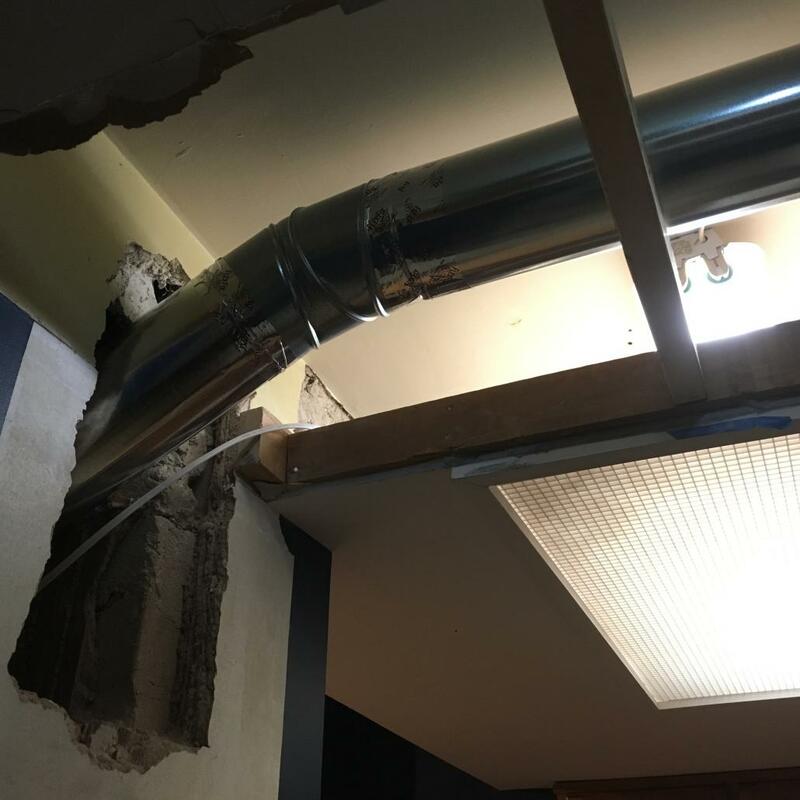 Apparently they were in the habit of keeping ALL the guest check receipts, and decided that the loft above the garage was a good place to store them. So when i moved in i inherited a loft full of banker's boxes of restaurant guest check receipts gong back to the 90's. Cleaning those out was a big pain in the ***. Nice job on the bora bora Shore! I like it. 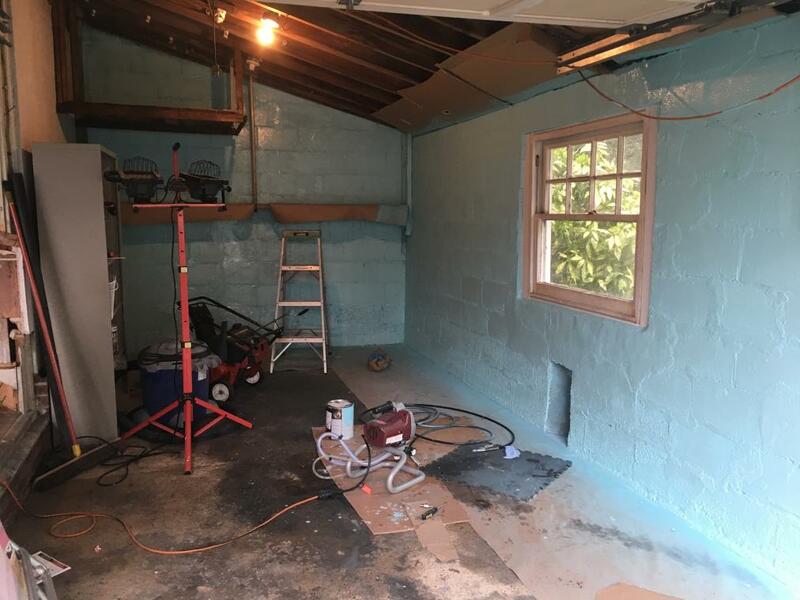 And fwiw, you don't want a bright white on your garage walls. It causes your pupils to dilate making it harder to see and henceforth, work on your jeep. A nice pastel is prefect. Win!